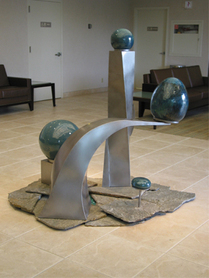 Nayer expresses her creativity in many mediums. 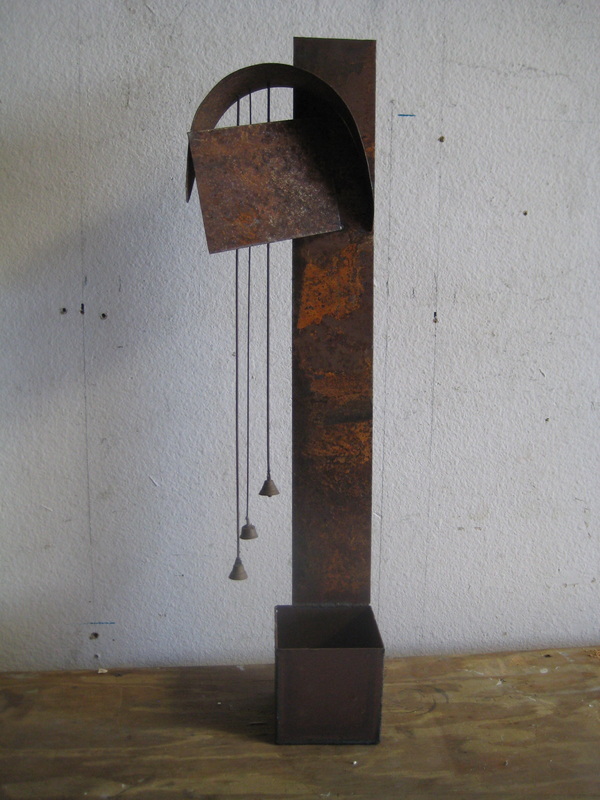 All the images below are one of a kind pieces, which she was commissioned to do. Please inquire if you wish to commission her for something other than her water art. 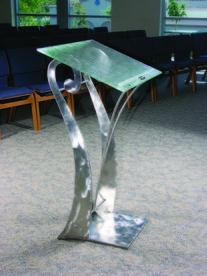 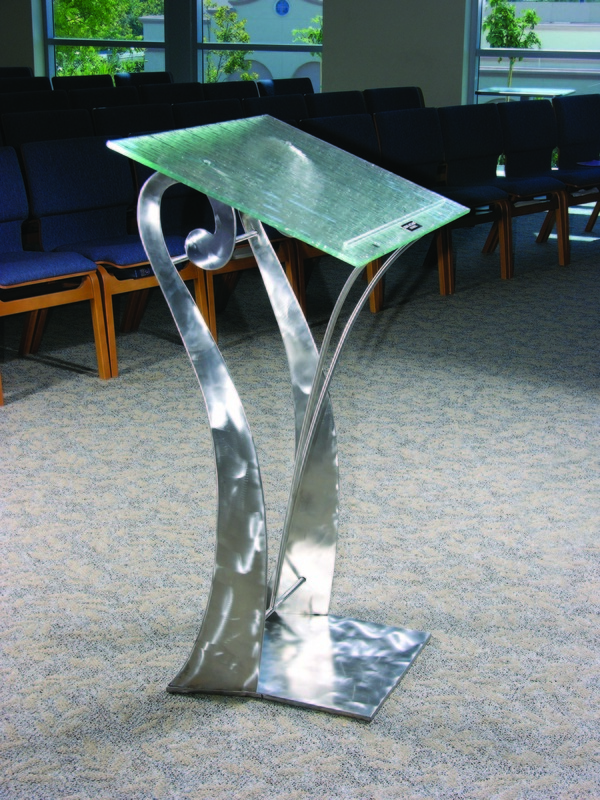 This lectern built for a church is 44” high X 28” wide X 20” deep and handcrafted from stainless steel and glass.